You would be forgiven for thinking that I am fixated on story books about peas – we’ve reviewed Little Pea, The Princess and the Packet of Frozen Peas and Peas. However, before I move on from the pea theme, I have to share LMNO Peas. You may think all peas look the same but think again. 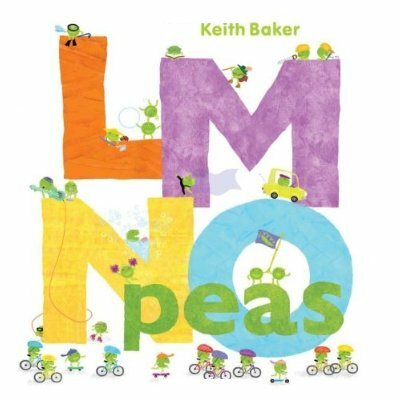 Keith Baker’s delightful alphabet book, LMNO Peas, rolls through the letters in a bouncy, often funny rhyme about all the different occupations and hobbies ‘pea-ple’ have. “We are peas – alphabet peas! 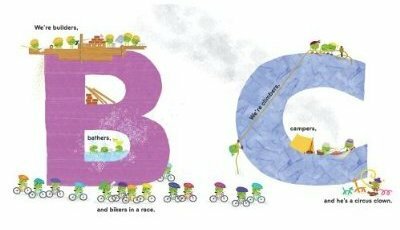 We work and play in the ABCs. We’re acrobats, artists and astronauts in space. Each little pea is given loads of character in Baker’s colourful and detailed illustrations. From the circus clown pea twisting balloon animals and the dancing peas in leotards to the swimming peas, backstroking in the sea, the industrious peas use the giant letters as their platform. Children will enjoy the absurdity of peas doing ‘people’ things and will also like hunting down the little ladybird that turns up on every page. 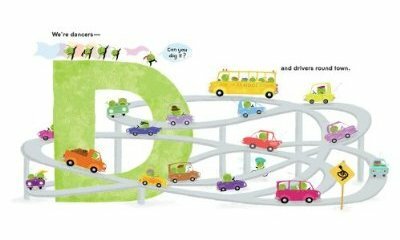 It’s a pea-perfect addition to the library for preschoolers learning the alphabet. LMNO Peas is available online at Fishpond for $22.41. See here for more great reads about peas.